Truss Display stands in Australia. 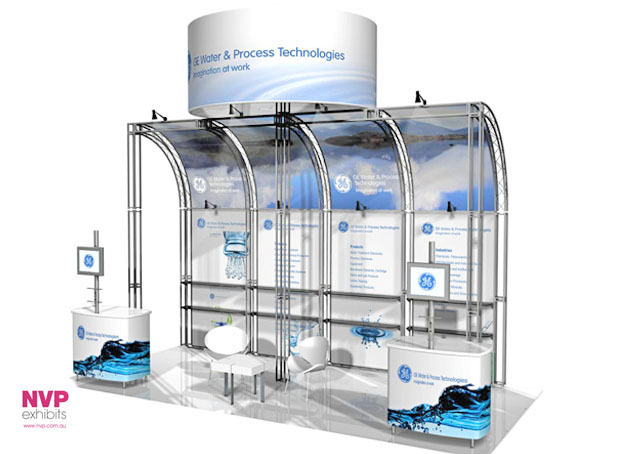 The NVP-032 is an inline truss display stand designed to be reconfigured as 3m stand and island stand making it a versatile truss display system for ongoing exhibitors. In addition a trade show hanging banner is integrated creating a bigger visual impact while saving exhibitors ongoing rigging costs which can be quite expensive in Australia.